An adorable actress with lovely looks being swept off her feet into a grand wedding by an efficacious entrepreneur with dashing features is the romantic stuff modern fairy tales are made of. 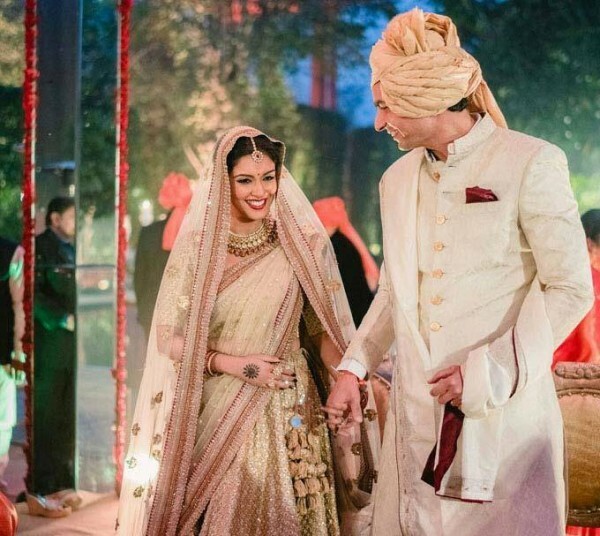 No wonder then that Indian newspapers were full of news stories last week about the wedding between the Punjabi Hindu Rahul Sharma and Malayalee Catholic Asin Thotumkal. 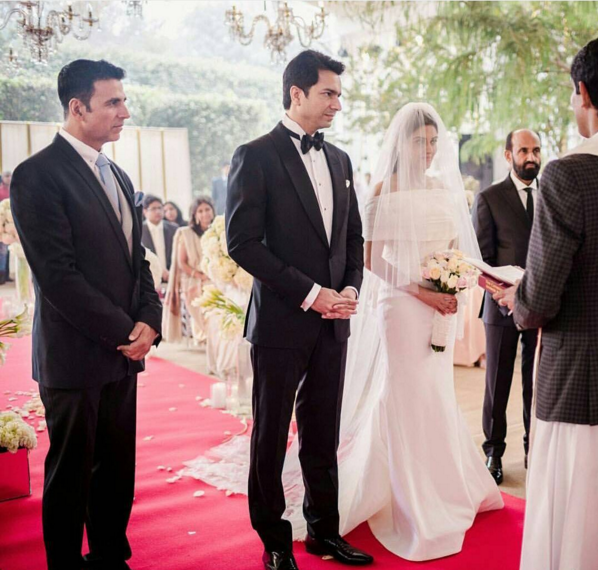 Groom Rahul is co-founder of the successful enterprise Micromax while bride Asin is an actress who has starred in several Indian languages like Malayalam, Tamil, Telugu and Hindi. A chapel was erected within the hotel premises for a Christian marriage in the morning. The Delhi-based music group ‘Elohim Worship’ performed at the wedding in which three hymns were played. Asin wore an elegant Western white gown designed by New York City fashion designer Vera Wang. The Christian wedding was followed by a Chinese style luncheon for 100 guests at the resort. The wedding was re-enacted in the evening according to Hindu rituals. It was an outdoor event held in a pavilion constructed upon a body of water. 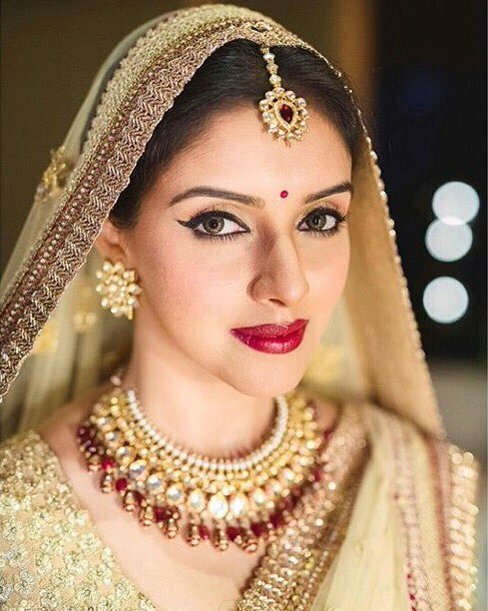 Asin wore Indian ‘lehenga’ wedding attire custom designed by noted Indian dress designer Sabyassachi Mukherjee. Observing the traditional Hindu marriage ritual ‘Pheras’ or ‘Saptapadi,’ the couple went around the blazing fire seven times and took their seven marriage vows. Thereafter the 200 guests present were treated to a lavish vegetarian Indian cuisine dinner. Asin has also modelled for and endorsed several products and businesses. At one point of time she was the most featured model from Tamil cinema appearing in 26 different advertisements for products. When she broke into Hindi films successfully, Asin stopped acting in Tamil films for a while and relocated to Mumbai from Chennai. Tamil film fans were deeply distressed. After a few years she decided to make a comeback and signed opposite Vijay for the Tamil film ‘Kaavalan’. The film was a roaring success and revived the career of Vijay whose movies had earlier crashed at the box office. What led to the hostile campaign in the Tamil film world against Asin? Hard as it may be to believe, it was due to her friendliness towards Sri Lanka in general and the kindness displayed by her towards the suffering Tamil people of the north in particular! Asin was pilloried savagely and crudely in the Tamil media for allegedly associating with the ruling Rajapaksa family during her visits to Sri Lanka. The immense humanitarian work she undertook along with actor Salman Khan to help afflicted people in the north was cruelly criticised. I have written about these matters at the time they happened.I shall now do a brief re-run of those incidents relying upon my earlier writings. Those who wanted to attend were warned that their films won’t get screened in Tamil Nadu and that they won’t be allowed to work in Tamil Nadu. Protest demonstrations were launched and when they escalated several Hindi filmwallas began capitulating. Both Amitabh Bachchan and Shah Rukh Khan retreated and said they would not be able to make it to Colombo. In Tamil Nadu the film industry bigwigs began cracking down on those who had attended the IIFA. Two actors however were rattled by this high-handed action. They were Salman Khan and Vivek Oberoi. Both had been romantically entangled with the gorgeous Aishwarya Rai. In fact they had clashed openly over her. But now both had lost out to Abhishekh who had made Aishwarya the Bachchan “bahu”. The jilted two stood by Sri Lanka despite the pressure. Apart from participating at the IIF both actors extended their stay in Sri Lanka. Despite these reasonable arguments the Seeman brigade kept howling for Asin’s blood expecting perhaps that she would grovel at their feet. It was announced that Asin would not be allowed to act in Tamil films or in Tamil Nadu. But an unrelenting and unrepentant Asin embarked on an unexpected humanitarian mission to Sri Lanka.Asin established a Trust and organised two humanitarian projects aimed at helping the affected Tamil people in the north. One was to conduct special eye clinics and the other was for adopting or sponsoring orphaned children. Instead of being intimidated by the Tamil extremists in Kodambakkam (the Hollywood of Tamil Nadu), Asin boldly travelled to Sri Lanka again. She accompanied first Lady Shiranthi Rajapaksa and Gampaha District MP Dr. Sudarshini Fernandopulle to the north. By this act, Asin became the first Tamil film actress from India to visit Jaffna in three decades.